In a series of items we shall be examining a period often skated over by historians, i.e. the re-emergence of organized chess after the Second World War and up to the 1948 world championship match-tournament. 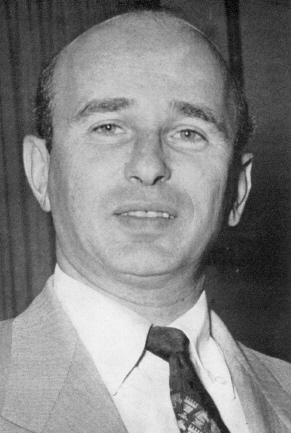 In early 1946 the President of the United States Chess Federation, Elbert A. Wagner, Jr., announced the imminent re-organization of FIDE and a resumption of activities broken off in Buenos Aires in 1939. Various magazines carried reports to that effect, examples being the January-February 1946 American Chess Bulletin (page 4) and the March 1946 BCM (page 85). 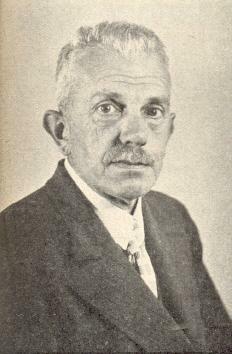 A driving-force in disseminating the news was Hermann Helms, who was then the USCF’s Publicity Director. ‘… in Zurich, to which city the FIDE headquarters were transferred from The Hague before the German occupation of The Netherlands. The Swiss Chess Federation will be the host. In the meantime officials of 44 national organizations affiliated with the FIDE will have an opportunity of studying the plan of procedure mapped out by President Rueb. Of prime importance will be the resumption of the biennial team matches for the trophy donated by the late Hon. 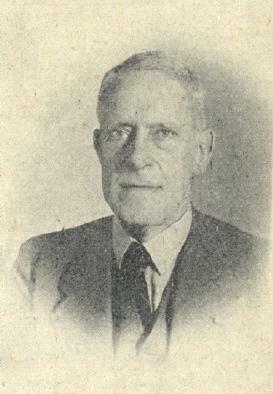 F.G. Hamilton-Russell, of England [who had died in 1941]. This trophy, it is understood, is still in Buenos Aires, where, with the United States (four times winner of it) unrepresented, it was won by the German team. 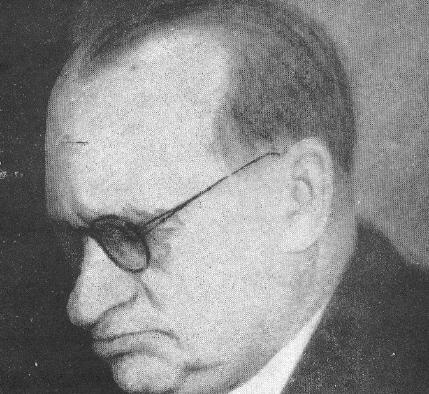 At that time the most commonly evoked solution concerning the world title was an Alekhine-Botvinnik match, but Alekhine died in late March 1946. The FIDE Congress took place not in Zurich but in Winterthur, on 25-27 July, and we follow here the detailed report by the Swiss delegate, Erwin Voellmy, on pages 169-171 of the November 1946 Schweizerische Schachzeitung. Voellmy related that since its 1938 Congress in Paris FIDE had shown no sign of life. The President, located in occupied Holland, had been unable to administer anything and the member federations (with the exception of Denmark) had no longer been paying their annual subscriptions. FIDE had practically ceased to exist. The Spanish Consul in Zurich (Spain). Three working sessions took place (in addition to various sub-Committee meetings), and in view of the limited level of participation the decisions would be valid only until the 1947 Congress. A telegram was received from Moscow apologizing for the absence of Soviet representatives and requesting that the USSR be represented in future FIDE Committees. This was regarded by the Congress as a positive sign that the Soviet Union intended to join the Federation. Also on the membership front, Czechoslovakia, the Netherlands and France had ordered their delegates to oppose the admission of Spain, and a decision to that effect was taken. Countries such as Germany, Austria and Poland were not on the membership list in view of the absence of a recognized national federation. As regards the world championship, it was decided in Winterthur to fill the vacancy by organizing, exceptionally, a tournament among the top candidates, i.e. Euwe, Botvinnik, Keres, Smyslov, Fine, Reshevsky and one of the winners of the upcoming Groningen and Prague tournaments. To settle the qualification issue regarding the future candidates a commission was appointed, comprising Rueb (Chairman), Louma (Vice-Chairman), Sir George Thomas, O. Bernstein and E. Voellmy. And so the first steps had been taken to bring FIDE back to life and create some semblance of administrative order. However, our next instalment will relate how the Federation’s world championship plans suffered a crisis well before 1946 was over. 1947: World championship tournament, the Netherlands. 1946/47: Zonal championships (to be completed by 1 January 1948), open to the countries’ national champions. 1948: Interzonal tournament, with 20 participants. The players would be the qualifiers from the previous phase and masters admitted by the Qualification Committee. 1949: Candidates’ tournament (two rounds), comprising ten players. The participants would be the five players who had scored best in the 1947 world championship tournament and the five players with the highest scores in the above-mentioned Interzonal tournament. 1950: Match for the world championship between the winner of the title in 1947 and the winner of the Candidates’ tournament. 1949/50: New cycle of zonal tournaments. 1953: Match for the world championship. Prize money was specified only in the case of the 1950 world championship match: $6,000 for the winner and $4,000 for the loser. With this complementary information on record, it is our third instalment that will relate how FIDE’s plan soon began to founder. Later on, we shall be discussing the 1947 Congress, which took place in The Hague. If any reader can send us a copy of the minutes thereof (at least regarding the issues under discussion here), we shall be most grateful, as FIDE is unable to supply them. ‘Alekhine’s first challenger since the War, therefore the last challenger to the title, is Botvinnik. Alekhine accepted the challenge. The title goes to him by default if death can be called default and not a matter of force majeure. In any case Botvinnik has more right than anyone to contest the title and, being the first player in the USSR and with Alekhine out of the lists, he must undoubtedly be considered the strongest player today. ‘When the International Chess Federation invited two American players to participate in the world championship it took for granted that Sammy Reshevsky and Reuben Fine were to be the American representatives. There is a widespread feeling among outstanding American chessmasters that the decision should have been left to the United States Chess Federation; that Reshevsky and Fine, pre-eminent as they are, should establish their right to play in the world championship tournament on the basis of present, rather than past, achievements. On 2 October the USCF informed FIDE of its decision by cable. Chess Review thought it ‘very likely that the USCF plan will succeed’, whilst also noting, ‘An additional complicating factor is Reuben Fine’s inability to find time for playing in the US championship’. 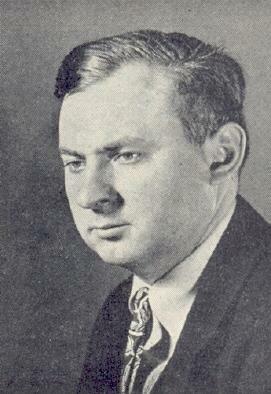 That tournament, held in New York in October-November 1946, was won by Reshevsky, 2½ points ahead of Kashdan. Around the same time the Prague tournament introduced a new name into the calculations, since it was won by M. Najdorf by a margin of 1½ points. ‘Holland having got together £4,000 for the world championship tournament planned by the FIDE next June, Euwe arranged a meeting of the six prospective participants (himself, Fine and Reshevsky of the USA and Botvinnik, Keres and Smyslov of the USSR) at Moscow. 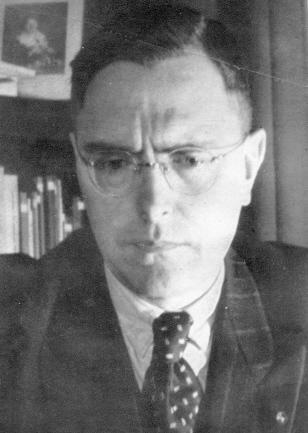 At this, Botvinnik in anger stated that one Dutch paper during the Groningen tournament [won by Botvinnik, ahead of Euwe and Smyslov] had said that the Russian participants might work together to put him into first place. He therefore refused to play for the championship in Holland. Russians know no ‘freedom of the press’. It was finally agreed to stage the event half in Holland, half in Russia, but there was further argument over the question of where the first half should be held. The USSR has not joined the International Chess Federation (FIDE). At the last FIDE Assembly Spain, who had been a founder-member and had paid its dues throughout, was ejected in the hope that the Soviets would join; the sacrifice has deeply wounded Spanish sentiment. The Russians want the tournament in April, Fine not before August. Estimates of the cost of Holland’s half of the tournament are now rising to £6,000 and £7,000. In short, all the positing, posturing and postulating throughout 1946 had resulted in virtually nothing, and the chess world entered its tenth consecutive year without a world championship contest. The most significant contribution to the discussion during the first half of 1947 (i.e. in the run-up to FIDE’s General Assembly) was a lengthy general article on the world championship by Botvinnik. At least two different English translations were published (on pages 168-169 of CHESS, March 1947 and pages 13-14 of the May 1947 Chess Review). Quotes below are from the former version. ‘It seems to me that a correct solution to the problem would be the existence of an authoritative World Chess Federation, having sufficient funds at its disposal accruing from contributions received from various countries. 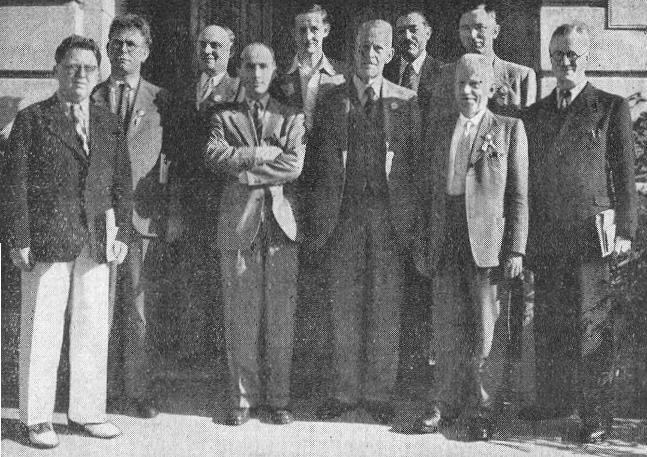 In this connection, it is necessary to state that the present federation – the FIDE – has neither the necessary funds nor the necessary authority: the last congress of the FIDE, held in Switzerland in July of the last year, was attended by representatives from only from six to eight countries, among whom were no representatives from either the USSR or the USA. If a truly authoritative organization existed, it would be fully able to arrange for the holding of both the elimination contests and the match for the world championship. Nevertheless, we must frankly admit that even if such a federation were organized, it is doubtful that the contributions received from various countries would be sufficient to cover expenses. 2. Within a given period, the world’s champion should be obliged to play with the winner of the elimination match-tournament. If the player who pretends to the title is able to obtain funds covering the expenses of the match in any particular country, the champion should go there to play unless the native land of the champion guarantees the expenses of the match. In the latter case, the match should be held in the native land of the champion, as was the case with the Alekhine-Euwe revenge match. 3. If the candidate to the championship is unable to find support for such a match in any country, and if the native land of the champion likewise refuses to support the match, then the world championship is to be considered open and the champion loses his title, i.e. the situation will be the same as that which exists at the present time. It is clear that then the new world champion will be determined by a match-tournament participated in by the leading candidates to the title. Under such a system, not only the player who pretends to the title but the champion himself will be interested in having the match held, and it is to be expected that the two of them will quickly come to an agreement. The circumstances which formerly hindered the holding of title matches will now be eliminated. 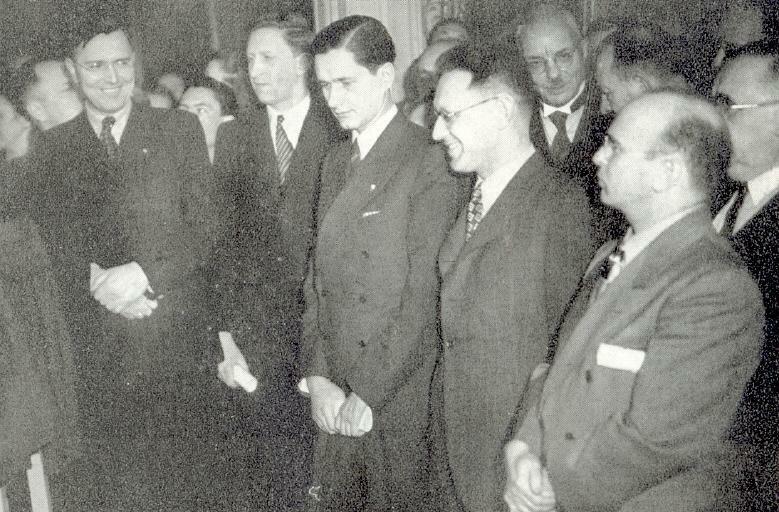 As the players and national federations continued to jockey for position, FIDE prepared for what was expected to be its decisive congress, in The Netherlands in the summer of 1947. 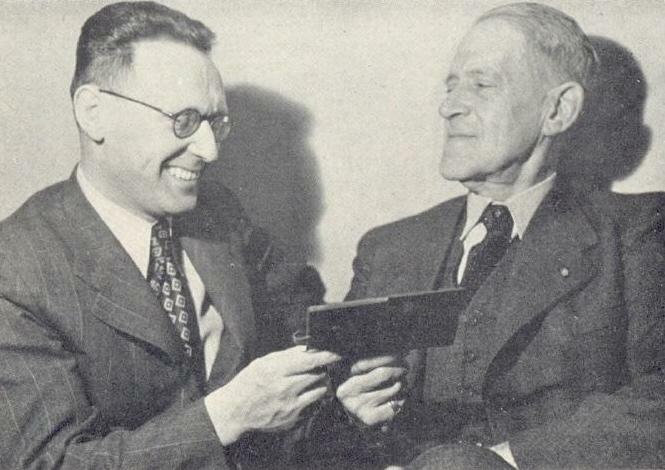 We conclude this series by turning now to the 1947 FIDE Congress, which was to finalize arrangements to determine Alekhine’s successor as world champion. 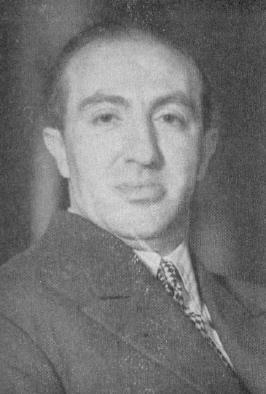 The Congress was held in The Hague from 30 July to 2 August 1947, and the Swiss delegate, E. Voellmy, gave an account in the October 1947 Schweizerische Schachzeitung (pages 154-155). 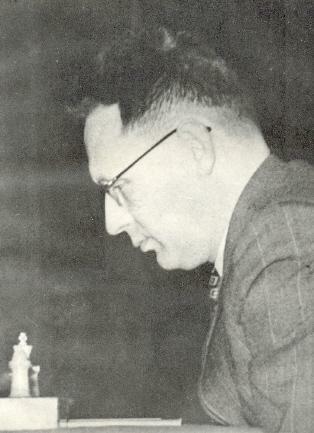 He reported that the idea of an Euwe-Reshevsky match had been evoked and that a widespread wish existed in Eastern Europe for a Botvinnik-Keres match. 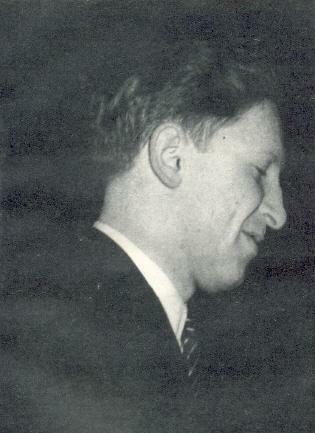 Nonetheless, Voellmy recorded, the Russians had reverted to the Winterthur plan, and the agreement meant that March 1948 would see the start of a six-man tournament (Botvinnik, Keres, Smyslov, Euwe, Reshevsky and Fine), firstly in the Netherlands and then, following a two-week break, in Moscow. The event would go ahead even if any player withdrew, and Voellmy concluded with the observation that it would be a particularly arduous event for Euwe, Reshevsky and Fine, since the other three players were well acquainted with each other’s strengths and weaknesses. B.H. 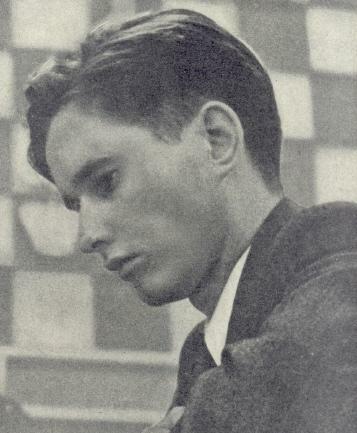 Wood, another delegate in The Hague, stated in CHESS, September 1947, page 344, that ‘the final disagreement, over which country should have the honour of housing the more important concluding rounds, was decided by lot’. The same page gave the full text of the text ratified during the FIDE Congress in The Hague. ‘There were other propositions submitted to the meeting. One suggested a match between Dr Euwe, champion in 1935, and Reshevsky; the other, an enlargement of the plan and the admission of three or four additional masters regarded as eligible to compete for the honor. Both were voted down. Because of the grounding of their plane at Berlin en route to The Hague, the four Soviet delegates, Ragozin, Postnikov, Yudovich and Malshev, did not arrive until the last day of the meeting, but, according to Vice-President Giers, cooperated in every way to make possible a harmonious understanding. Of far-reaching effect is the entry of the USSR, hitherto outside of the Federation, into closer and permanent relationship with the other leading chess-playing nations as an affiliated unit. It is understood that Russia has 600,000 registered players. As noted above, Fine’s telegram had used the term ‘professional duties’. Although page 80 of the March 1948 BCM observed, ‘There is no provision made for a substitute and thus the questionable side-tracking of Najdorf becomes little short of a calamity’, it would be an exaggeration to suggest that contemporary magazines (i.e. the sources on which this ‘Interregnum’ series has concentrated) accorded much thought to Najdorf’s fate. Fine’s absence too received few column inches, as attention was becoming firmly focussed on Botvinnik, Euwe, Keres, Reshevsky and Smyslov. Under FIDE’s firm control they joined battle for the undisputed world chess championship in The Hague, on schedule, on 1 March 1948, i.e. almost two years after Alekhine had died. The above feature article originally appeared as C.N.s 3006, 3018, 3028, 3048 and 3316. Some advocate that the world title should be decided by tournaments. After much thought, we disagree. In the first place, a tournament proves nothing unless the winner’s margin is substantial; luck often plays a big part. Further, the lifting of one tournament to overwhelming importance would reduce interest in other tournaments; before the War, big international tournaments were held frequently, and they aroused tremendous interest. Each big tournament was important in itself; it did not have to play second fiddle to anything. The proposed change would seriously jeopardize all that. Nobody had any complaints against the match system except that matches were too infrequent and the champion more or less selected his challenger. If matches are held at regular intervals of say 18 months or two years, and the challenger is selected by the FIDE on recent tournament results, there may still occasionally be faulty choices made, but there will undoubtedly be a vast improvement. So the choice is between a revolutionary change which may be harmful, and an alteration which is certain to be beneficial. Suitable conditions for a match would be: First to win four games, but by a margin of at least two points; provided that at least 12 games must be played, and not more than 24 games. After 24 games, the leader shall be champion. If scores equal, holder retains title. In other words, do not let a one-point margin decide unless after a very protracted struggle neither player can do better. A 4-3 win after ten or 12 games would not be very satisfactory. On the other hand, if one player could build up a lead of four wins to two after 12 games it should be good enough. The strain of a 24-games match or longer should not be imposed unnecessarily. Labourdonnais and McDonnell killed themselves with long matches. As to finance, we suggest a purse of 5,000 American dollars. Half the purse and expenses to be raised by the nation holding the match; the other half from a fund raised by the FIDE from subscriptions in all affiliated countries. On the subject of Reuben Fine’s personal claims regarding the world championship, see C.N.s 10028, 10467 and 10470. Latest update: 28 June 2017.